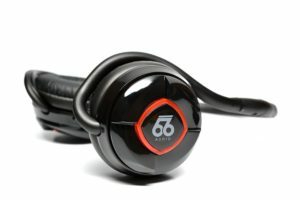 66 Audio is a Los Angeles based start-up focused on sports-oriented over-the-ear headphones with great customer support. I’m an active runner and audio enthusiast and I’ve had poor experiences with other Bluetooth sports headphones. 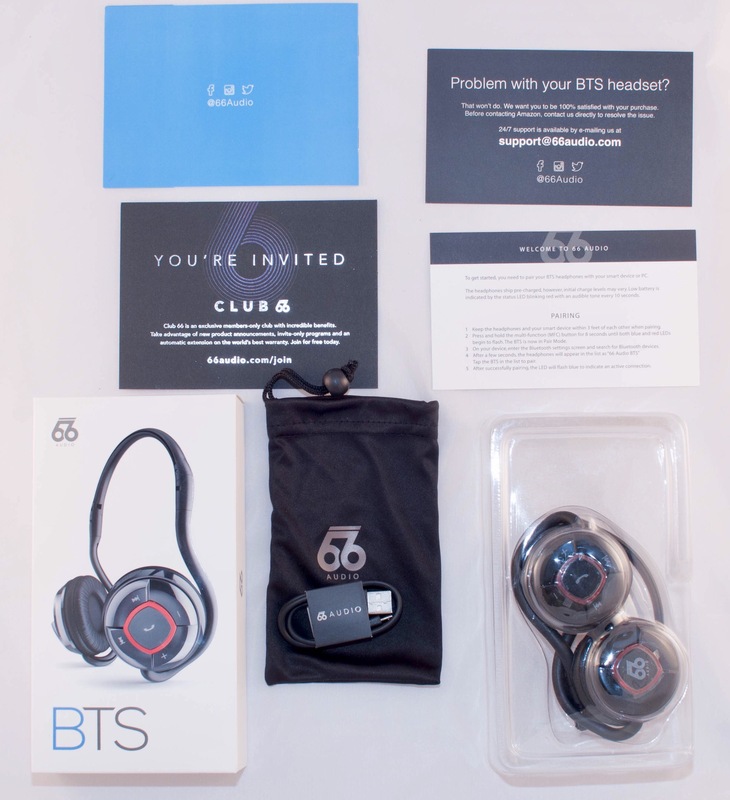 So I was extremely interested when I was contact by 66 Audio and asked if I’d like to test their BTS Sport headphones. But to be clear, when my review is complete, I’m going to return the sample headphones back to 66 Audio. This isn’t a “free product bribe” review. So with that out of the way, let’s get to the review! Useful Design and light weight. I was expecting them to be heavier and feel heavier on my head, but I was pleasantly surprised by the light weight. They gripped my head well and stayed in place when running. When I took them off to talk to someone, they were easy to move down to my neck and they gripped well there as well. They also fold up very compactly. Great battery life. The BTS Sport Headphones are rated at 25 hours. I never charged them once and they lasted through many hours of running over multiple weeks and the battery still showed about half charged. So I can’t verify the 25 hour rating, but I can say that these headphone outlasted every other Bluetooth headphone I’ve tried by a significant margin. 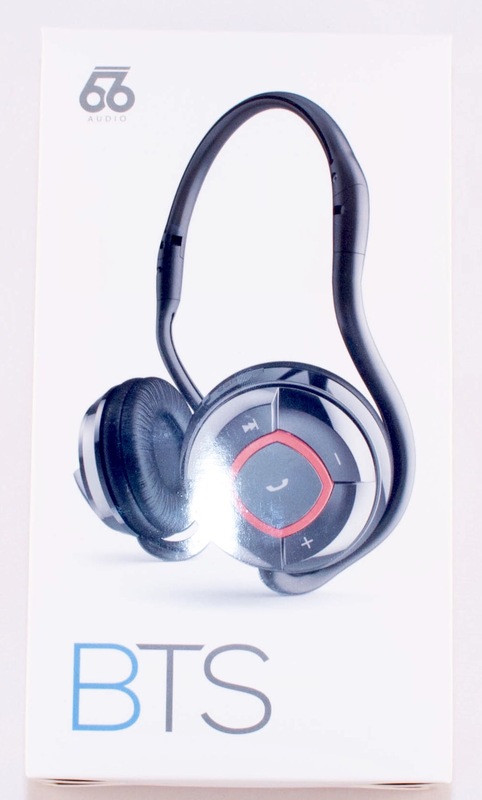 Very Good Sound Quality: I was pleasantly surprised by the sound quality. It was much better than I was expecting for headphones of this size and price. The bass was low and strong but not over-powering, and they trebles were clear. Now to be clear, these are not going to replace my high-end Westone W50 In-ear monitors, but they’re not supposed to. The BTS Sport meet a completely different need and use case. Necessary accessories included: A bag and charging cable are included. I like that the cable is included, because I sometimes don’t have the right one and it’s good to have an extra dedicated cable with each device. A USB wall charger isn’t included, which is fine with me, because I don’t need yet another one because they are pretty universal. Worked fine for phone calls. For headphones, phone performance was acceptable. Not fantastic and not a replacement for my Plantroics Voyager conference call headset, but good enough to use when I received a call while out for a run. Unfortunately, there is no microphone mute switch, which means they aren’t ideal for conference calls. 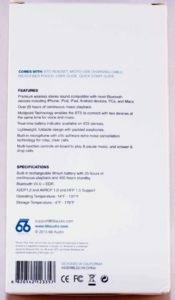 Good Customer support advertised: 66 Audio advertises their warranty and customer support. Which I should have tested it out, I didn’t have time to do so. But based on what I’ve read, it’s much better than generic headphone on Amazon. I’ll get the big one out of the way: The BTS Sport are not sweatproof. During an especially long run on a warm day, they buttons went crazy and then stopped working all together. At first, I just got random pauses that I thought was phone related, but it turned out to be the play/pause button shorting out. About 30 minutes later, the volume buttons stopped working, and they all the buttons stopped working. I couldn’t even turn them off and had to leave them on after my run. They were dead the next day when I checked on them. I recharged them and apparently they had dried out enough to start working again. I don’t understand how Sports headphones not being sweatproof. The Sunglasses Thump: If you wear glasses or sunglasses and run, these are not the headphones for you. 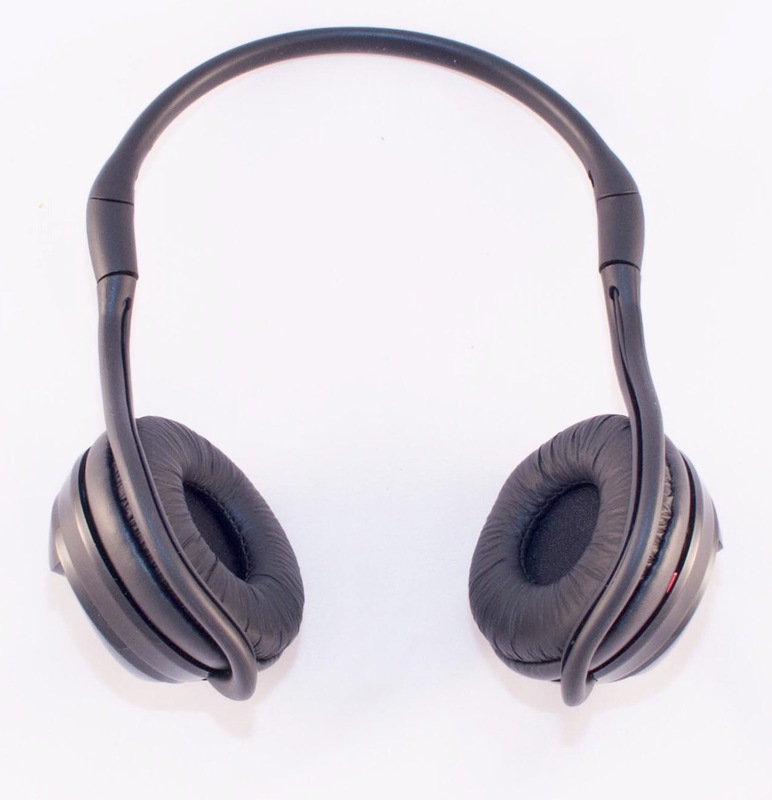 The behind-the-neck band moves around enough to thump against sunglasses ear pieces. 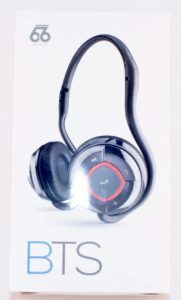 This creates a thump that is transmitted through the headphones that’s easy to hear. This also created some very slight discomfort on the backs of my ears. No voice prompts: most headphone, even some that cost $20, have voice prompts for “power on” and “pairing” but the BTS Sport did not. This makes them a little more confusing to use, but not dramatically so. No active noise pass through: headphones are starting to have active noise pass-through features that use a microphone to detect outside sounds (such as an approaching car) and pass that sound through the headphone speaker. 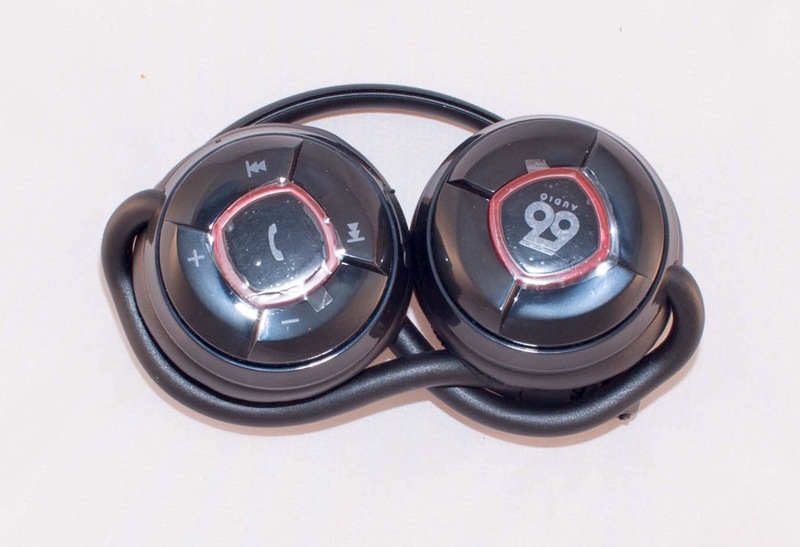 This being an over-the-ear design, some external sound make it in around the earphone, so this wasn’t a huge problem, especially at this price point. But I’d rather have the feature than not with sports headphones. The placement of the Fast-forward, Rewind, and Volume Buttons are a little confusing: all of the button around the perimeter feel and look the same. When the headphone rotate slightly on your head, it becomes confusing which button is which. 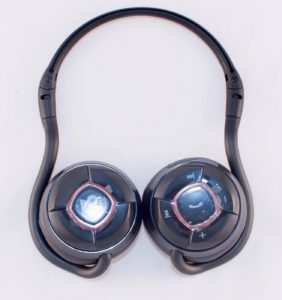 It would better if they felt more unique and has a less symmetrical placement around the outside circle of the headphone. Volume control of headphones is separate from the phone: I had to separately adjust the volume of on my iPhone and on the headphones to get the right volume level. I’d rather have the headphones control the volume of the phone instead of two separate things to control to get full volume. Price a little high: I thought the price was a bit high compared to other similar products available on Amazon. But my guess is that 66 Audio provides much better product support and warranty than these other brands, and you’re paying for that as well. But all things equal, I’d prefer a lower price and a reliable design that didn’t require warranty support. The BTS Sport offer an interesting mix of small size/weight, over-the-ear design, and long battery life. I think they make a lot of sense for anyone who does non-cardio exercise and doesn’t wear glasses or sunglasses. But for sweaty outside sunglasses-wearning runner like me, they weren’t a match for my needs. 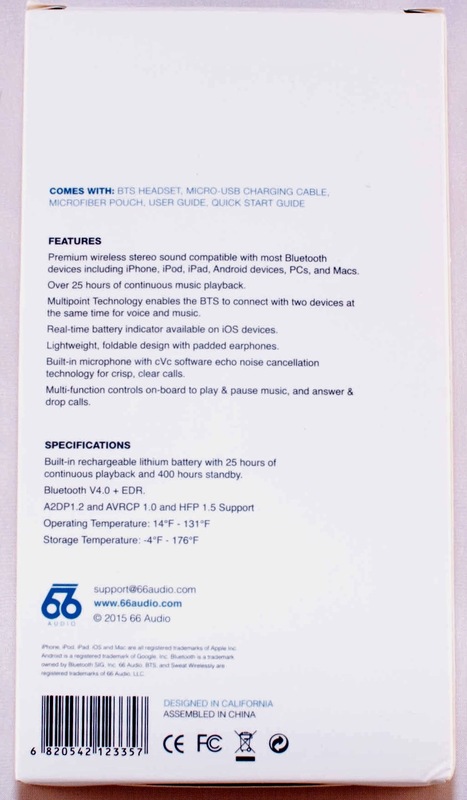 I’m interested to see where 66 Audio goes with their future products. I think BTS Sport was probably their “Minimum Viable Product”. In other words, they needed a first product to launch with and the BTS Sport (which could be a rebranded reference design) was the best option. It looks like they now have some additional products, the BTS Pro and Revolution, that are more premium – and more importantly, are sweatproof. I think it’s going to take that type premium and differentiated offering for 66 Audio to separate from the large pack of headphone companies. The BTS Sport isn’t going to accomplish that.